Mozambique has a well-deserved reputation as a superb beach holiday destination, but this long slice of coastal southern Africa has a few other aces up its sleeve, too. Of course, it’s impossible to talk about this wonderful country without describing the warm, azure waters of the Indian Ocean and its sweeping, pristine sandy beaches fringed by palm trees. 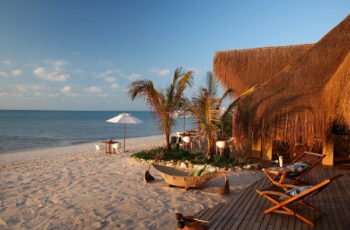 Mozambique’s coastline is some 1 500 miles long, and includes the perfect honeymoon islands of the Bazaruto and Quirimbas Archipelagoes for when you really need to get away from it all. 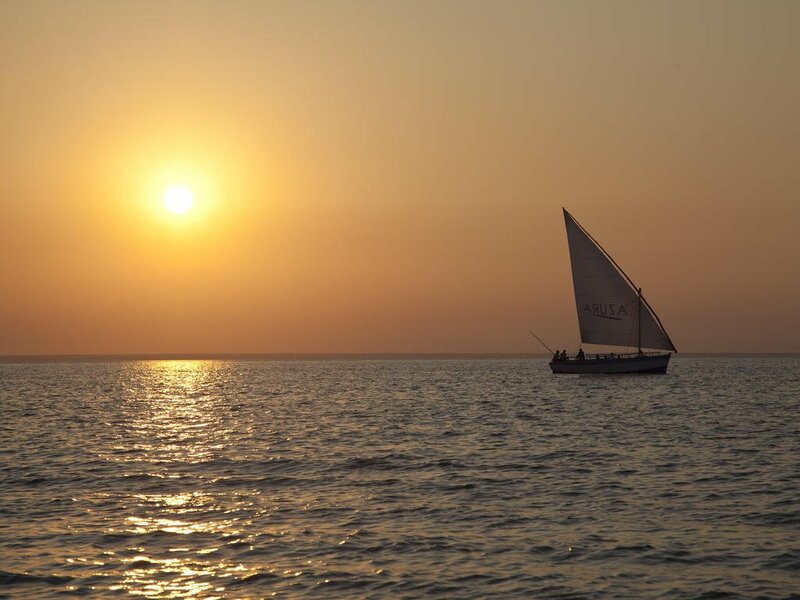 The ocean continues to play a major role in life in Mozambique, as it always has. Fascinating historical locations such as Ibo Island and Ilha de Moçambique containing many clues to a past dominated by trade in ivory and gold, and the Swahili heritage evident in many coastal areas speaks to a melting-pot of Arabic and African influences. Portugal’s long association with Mozambique can be seen in ancient churches and navigational crosses, and more recent colonial holiday villas. The Portuguese also left their mark on Mozambique’s cuisine, as one bite of a deliciously fresh and insanely spicy peri-peri prawn will tell you! The seafood, as you’d expect, is excellent – and so too are the opportunities to catch your own. The waters off Mozambique offer incredible game-fishing, and you can channel your inner Hemingway by heading off in pursuit of a marlin or sailfish. Conservation-minded operators now concentrate on catch-and-release fishing, and we’d definitely recommend this approach. On the subject of conservation, Mozambique has taken great strides towards protecting its natural heritage and diving and snorkelling on its reefs can result in encounters with manta rays and immense but harmless whale sharks. 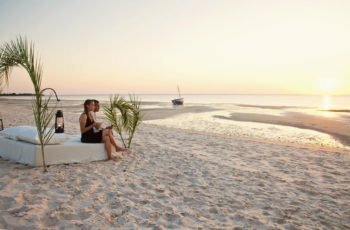 Marine wildlife – plus the chance to relax on the beach – make Mozambique the ideal counterpoint to safaris in, say, South Africa or Botswana as part of a combined bush and beach holiday. If you need another safari fix, you can visit Gorongosa National Park – one of southern Africa’s wildest – where pioneering conservation work is helping animal populations to recover after years of poaching. 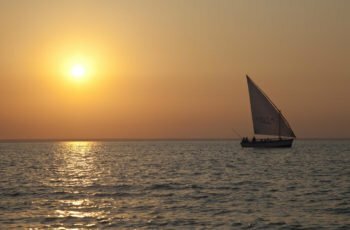 Perhaps the quintessential Mozambican experience is to relax in your hammock with a local 2M beer or ‘R&R’ (rum and raspberry) cocktail, gazing out over the ocean as the sun sets. Electrical outlets in Mozambique usually supply electricity at between 220/240 volts at 50 cycles per second. A three-point round-pin adapter plug should be brought for your electrical appliances – such adapters are also available at major airports. If you’re plugging in an appliance that was built for 220-240 volt electrical input, or an appliance that is compatible with multiple voltages, then an adapter is all you need. Credit CardsCredit cards are accepted in most establishments, although travellers’ cheques are not – please confirm in advance. Local banks have branches in cities that are generally open on weekdays from 7:45am to 12:00pm. ATMs are spreading across the country, but travellers cheques are difficult and expensive to exchange. June to October is the dry season, with often perfect tropical weather: clear skies, plenty of sun and almost no rain. 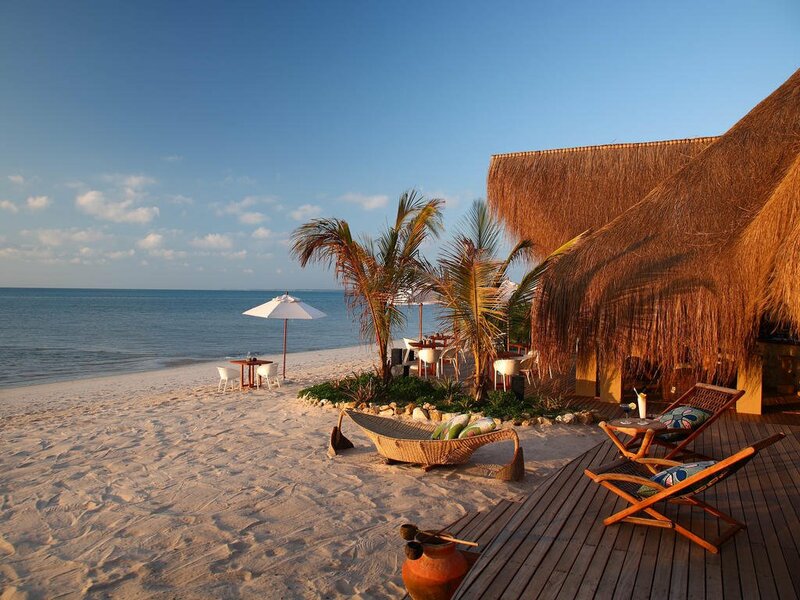 This is the best time for most people to visit Mozambique. 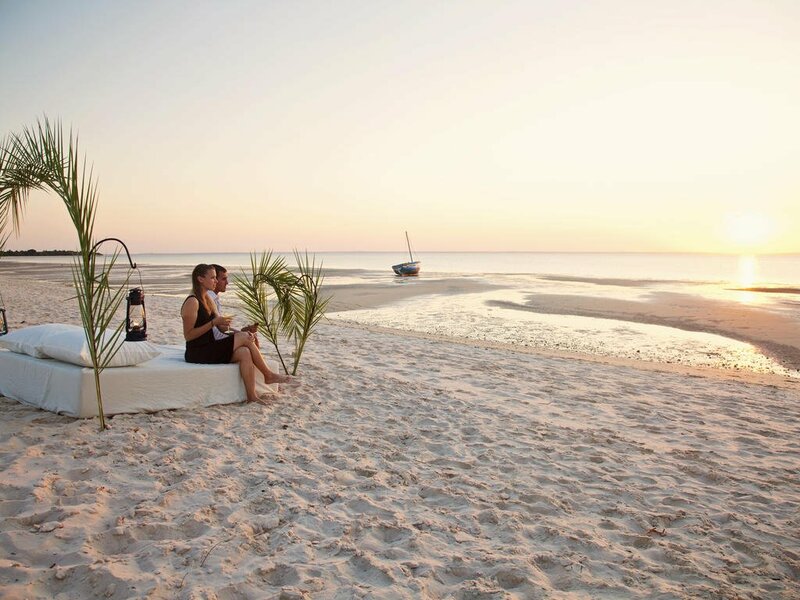 Although still tropical, June, July and August are Mozambique’s coolest months; you’ll need a light duvet at night, even though the temperature reaches over 80°F by day. During September and October it remains dry as daytime temperatures climb, though it cools down a lot at night. Yellow Fever- required for travellers coming from a yellow fever infected country. It is otherwise not required or recommended. You should be vaccinated at least 10 days before you travel, as this will allow enough time for your body to develop protection against the yellow fever infection. Your proof of vaccination certificate will only become valid after this time. • Cholera – recommended for adults who are traveling to an area of active cholera transmission. Most people do not travel to areas of active cholera transmission. Avoiding unsafe food and water can also prevent many cholera infections. Cholera is rare in travelers but can be severe. Mozambique is a Malaria risk area and it is therefore strongly recommended that all travelers consult their medical practitioner at least two weeks prior to the start of their safari. Whether oral prophylaxis are taken or not, it is recommended to always use mosquito repellent, wear long pants, closed shoes and light long-sleeved shirts at night, and sleep under a mosquito net in endemic areas (the anopheles mosquito, which carries malaria, operates almost exclusively after dark). US citizens are required to obtain a visa prior to arrival into Mozambique. Non U.S. citizens should consult with your local embassy. The official language is Portuguese; however in general most people understand and speak some English. Mozambique is 2 hours ahead of Greenwich Mean Time (GMT) all year round.